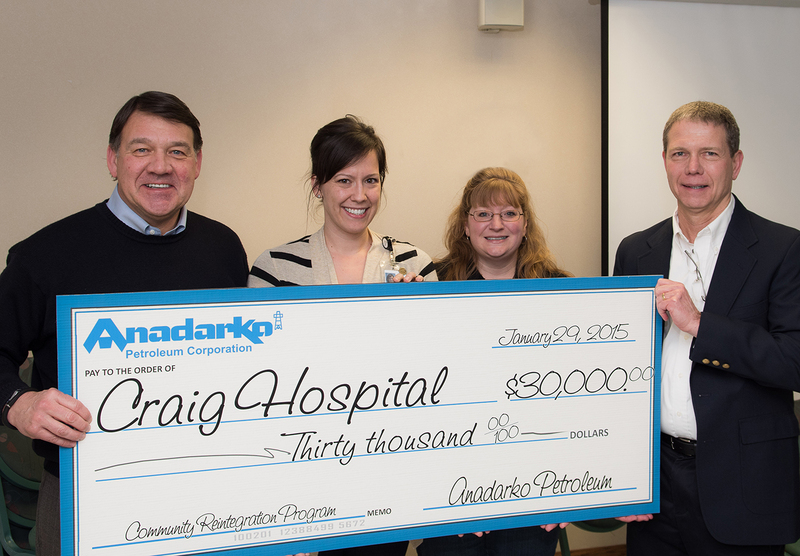 Englewood, Colo. — Craig Hospital has received a $30,000 gift from Anadarko. The gift will help fund Craig’s Community Reintegration program, which gives individuals who have been recently injured the skills and opportunity to become economically self-sufficient again. Anadarko Petroleum Corporation’s mission is to deliver a competitive and sustainable rate of return to shareholders by exploring for, acquiring and developing oil and natural gas resources vital to the world’s health and welfare. As of year-end 2013, the company had approximately 2.79 billion barrels-equivalent of proved reserves, making it one of the world’s largest independent exploration and production companies. For more information about Anadarko and APC Flash Feed updates, please visit www.anadarko.com.